Why won’t my Outlook close? CLOSE dang it. Click It.. [X] .. CLICK… CLICK IT….CLICK IT. I get so tired of this, why can’t I just close my program and be done with it? What the heck is holding things up? 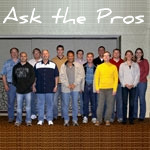 I was at a party, and more than one person asked me for advice buying a new computer. Here’s what I told them and I thought I would share. Are you sure you need a new computer? This is not popular advice, but I honestly believe that most people don’t need a new computer. The main reason people purchase a new computer is because the old one is slow. The first question is whether they might want to save the money and get the old one running faster. It’s not just the money. You usually lose a day getting the new computer running like you want with all of your files moved to the new one. We are living in amazing times. The world is changing at an incredible rate. Check out this video called “Did You Know?“. The point behind the video is that the world is changing very quickly. Indeed. Where it all ends, nobody knows. But let’s take a look at one aspect – the internet. 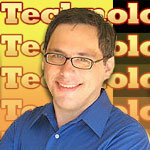 Welcome to the official second edition of the PC Pitstop Free Software Report. I want to thank everyone for the tons of comments both positive and negative. We are listening. 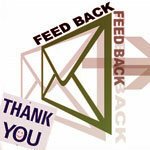 More importantly, many of our readers learned more from the comments than our Top Software List! In fact, I even learned a few things. 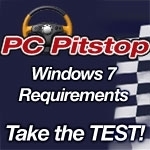 PC PITSTOP announces our Windows 7 Readiness Test is available for you now. Check your systems hardware to learn how it will perform using Windows 7. It only takes a second and when you’re done download the FREE Windows 7 RC1 from Microsoft. By and large we live in a world of standards. Wouldn’t it be a drag if we had to buy a new faucet each time we bought a new garden hose? Or a new electric outlet whenever we bought a new refrigerator? We live in a world of standards, and this is no more true than in the PC industry.